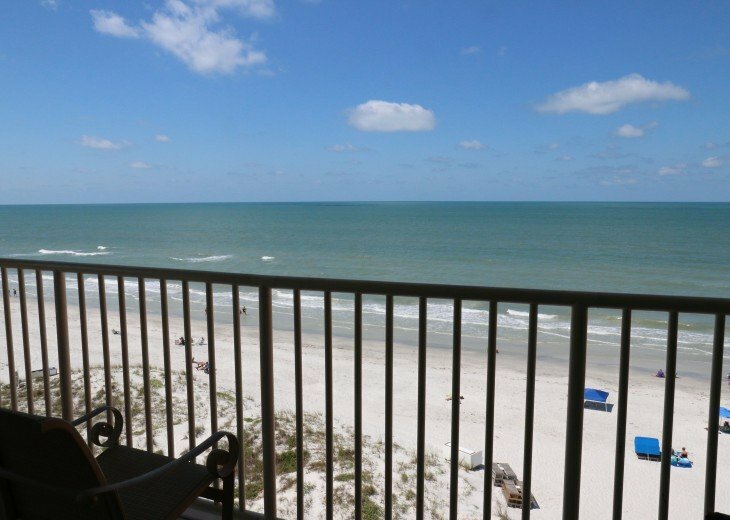 Our 6th floor condo overlooking the Gulf of Mexico has been recently renovated. 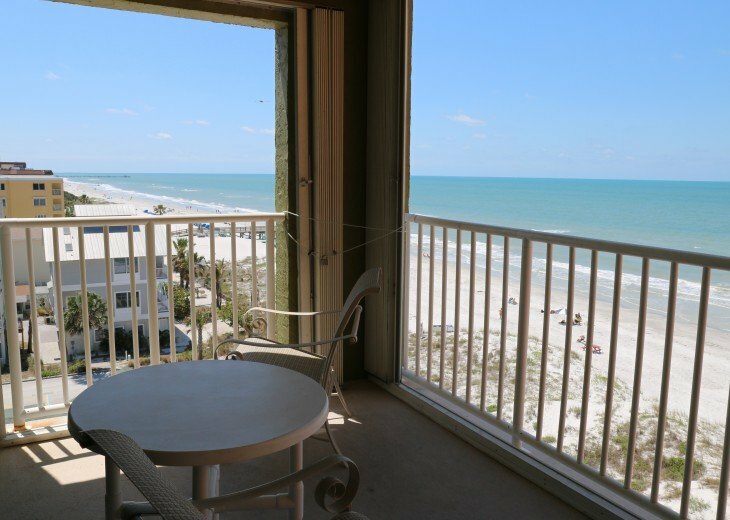 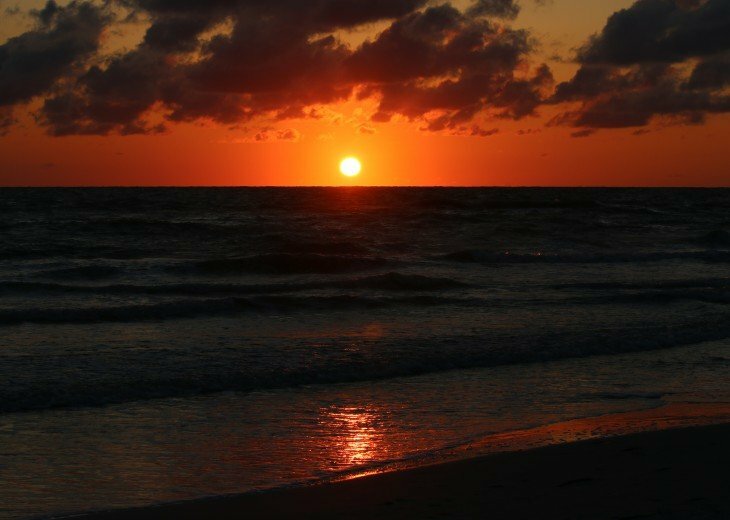 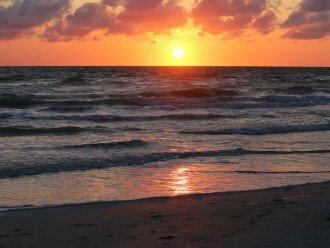 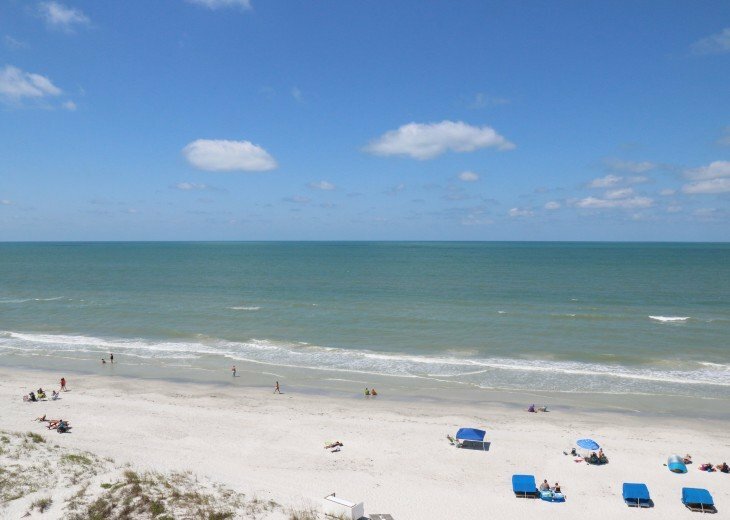 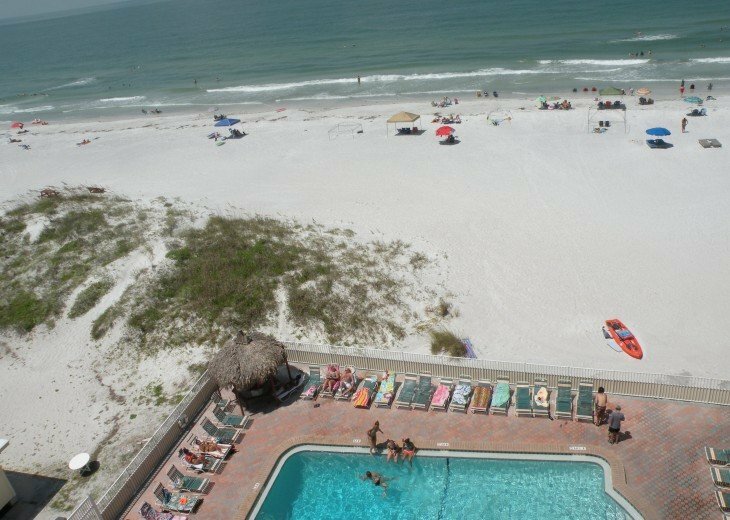 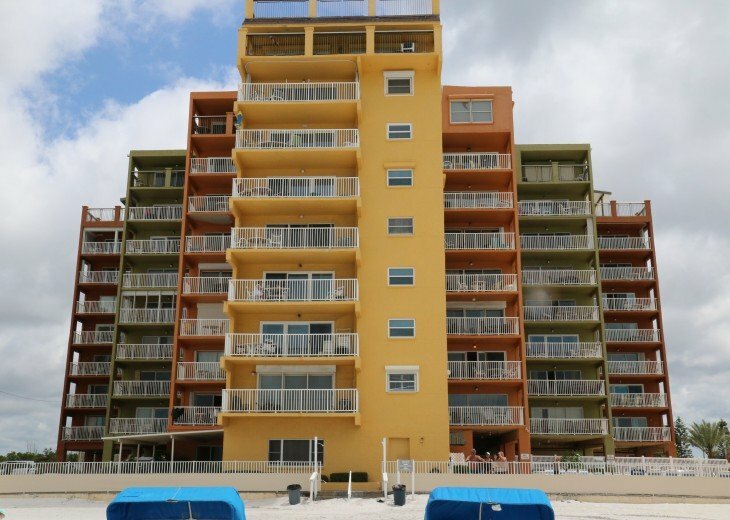 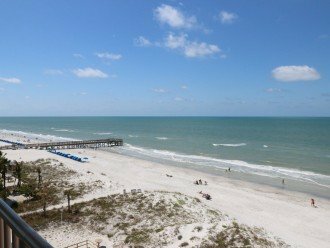 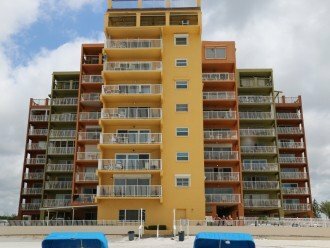 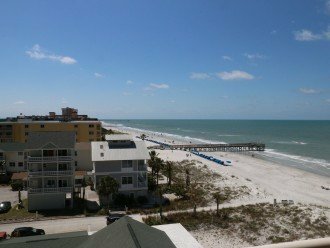 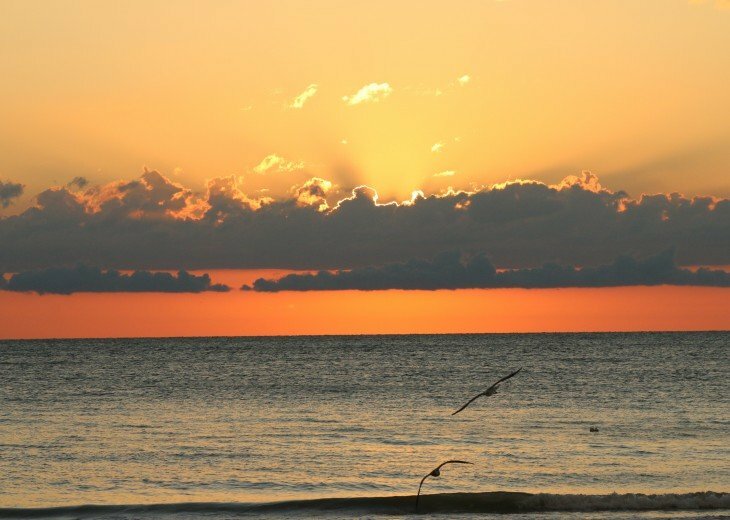 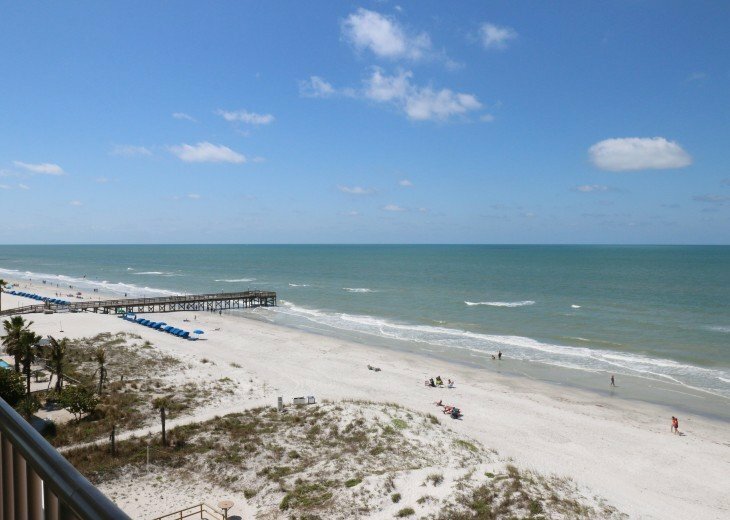 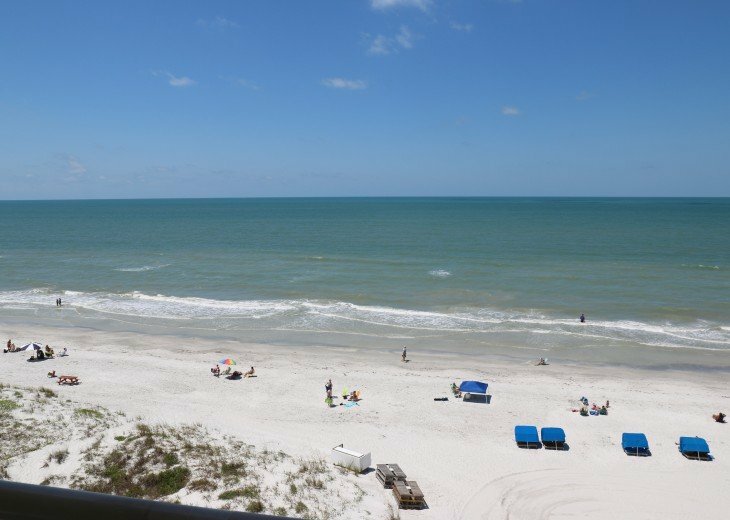 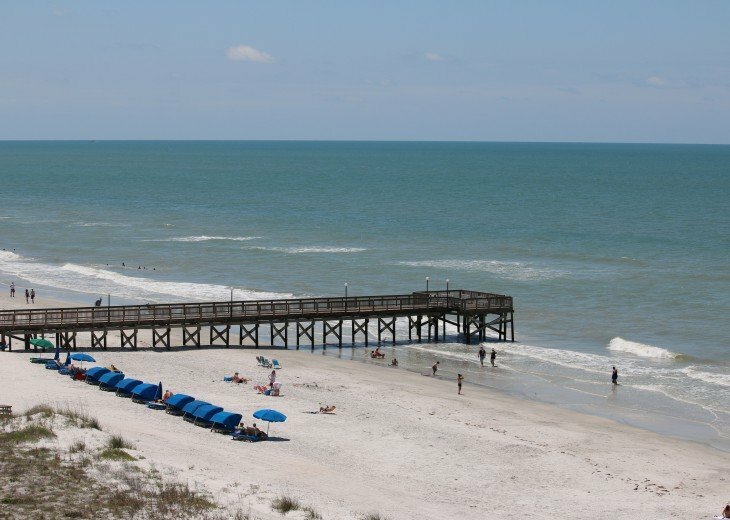 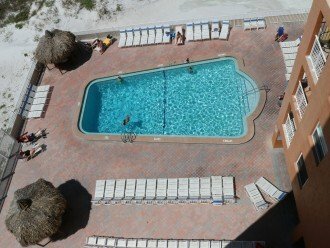 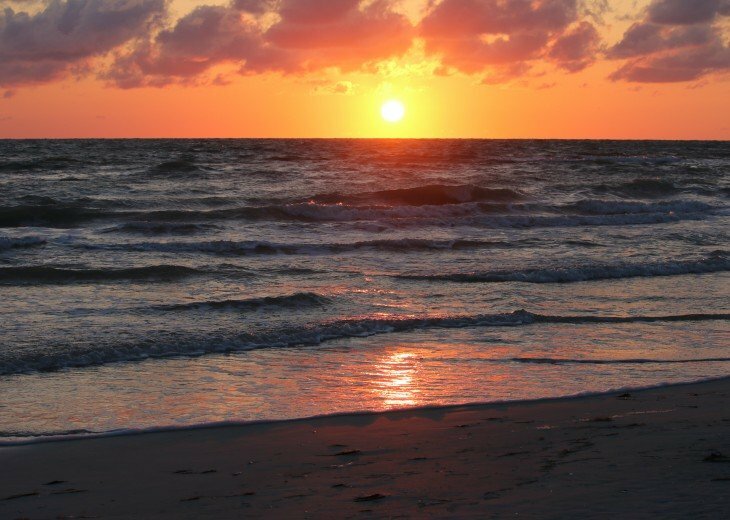 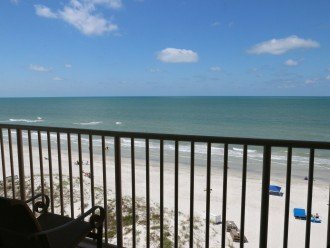 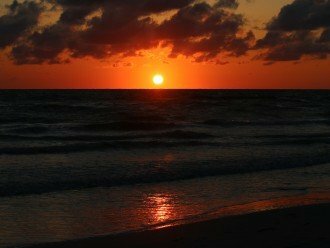 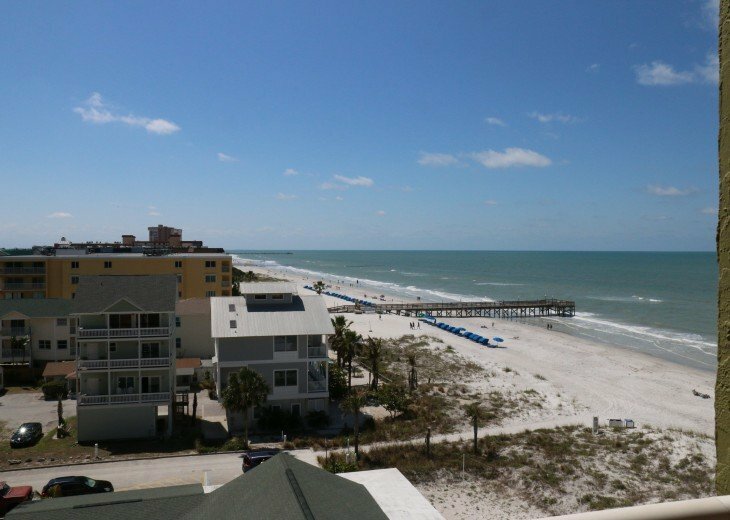 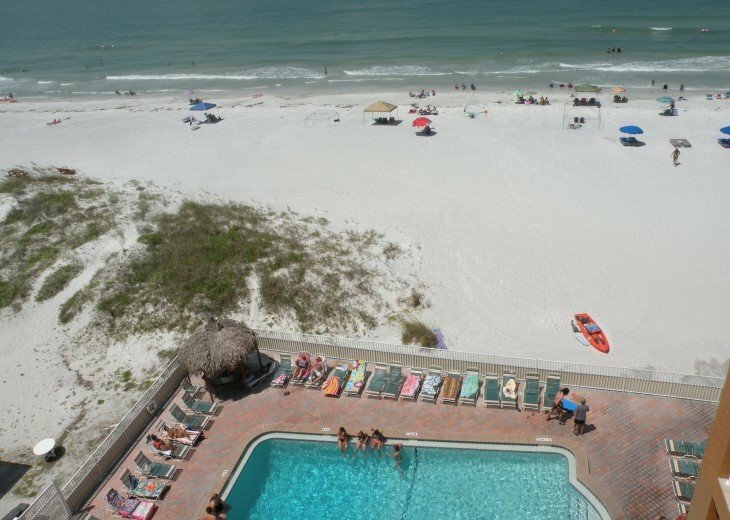 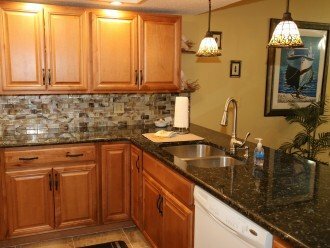 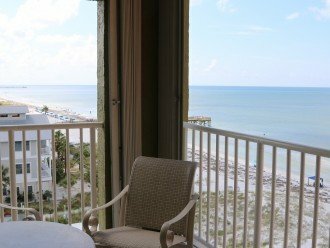 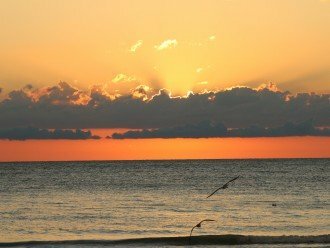 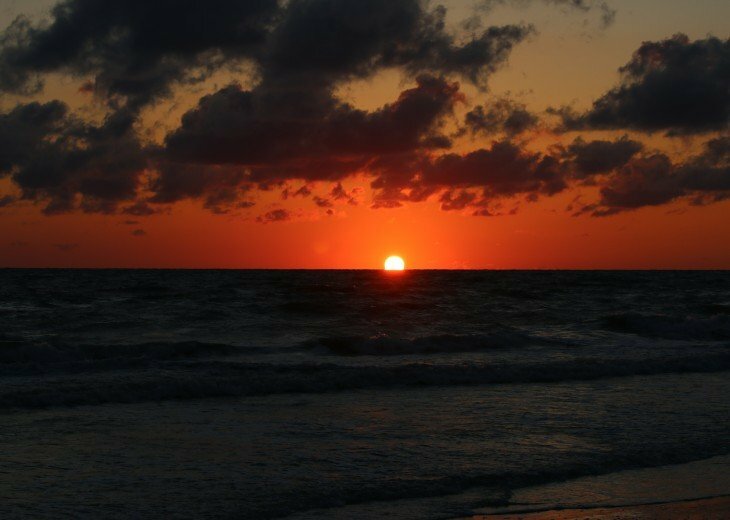 Located in Indian Shores, it is a direct ocean front condo.You'll have a larger private balcony with great views of the Gulf of Mexico.You'll also have the peace of mind knowing you are renting directly from the owner, who takes pride in the condo and can assist with any of your needs. 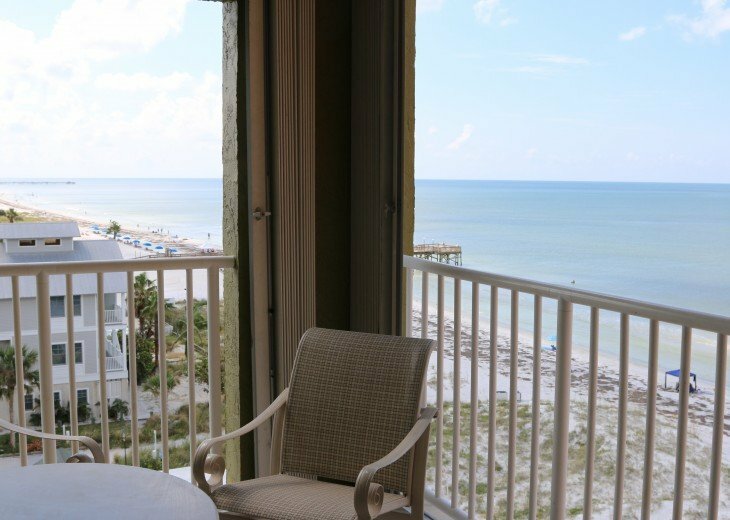 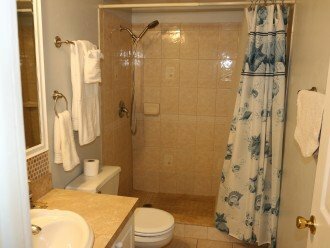 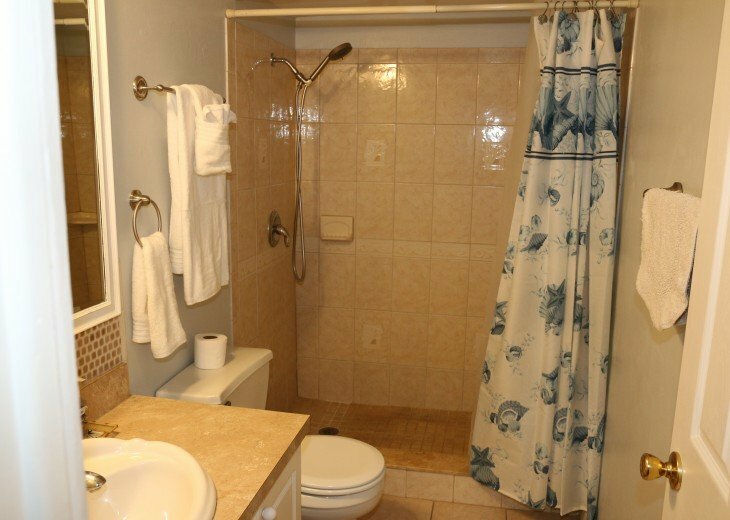 Our condo has everything you'll need to enjoy your vacation, we even supply the beach towels and beach chairs. There are 2 bedrooms and 2 full baths. 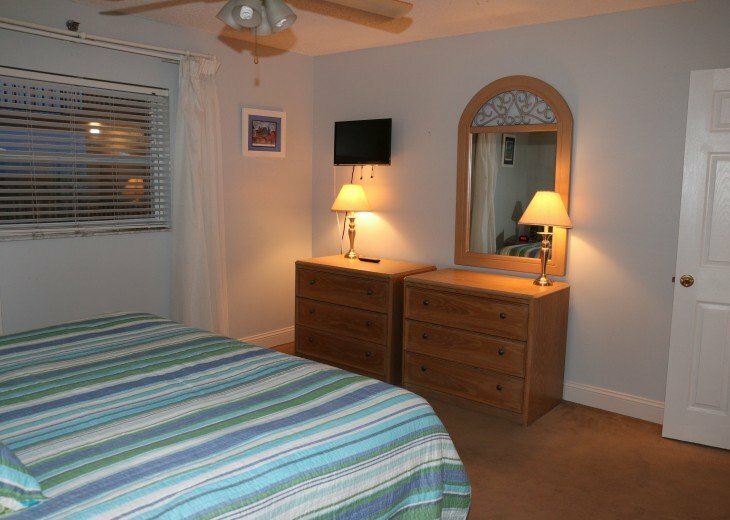 The master bedroom has a king sized bed, a tiled bath with walk in shower, The second bedroom has 2 double beds. 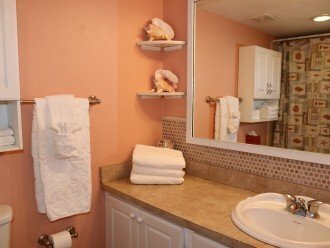 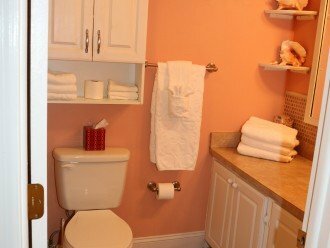 The second bathroom is tiled with tub and shower. In the kitchen you'll find all new appliances and granite counter tops. 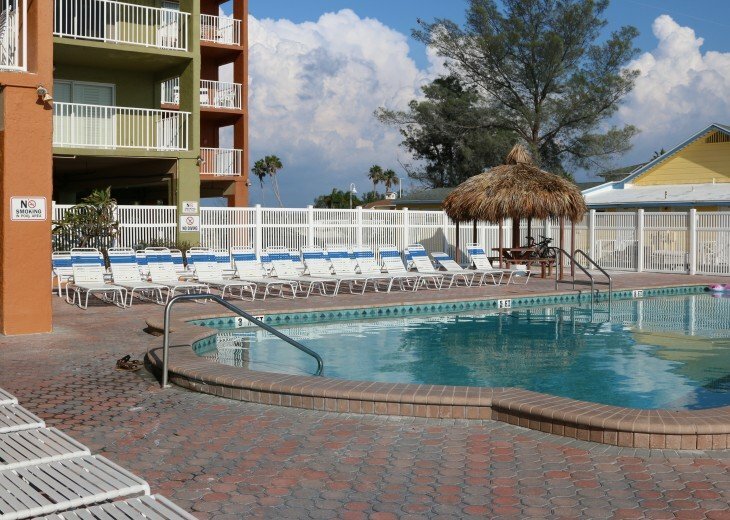 Our pool is heated and next to the beach so you can enjoy both at the same time. 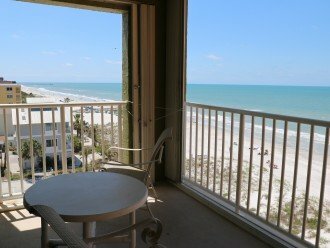 A great condo for a great vacation. 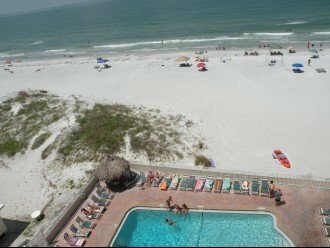 Located in Indian Shores Florida. 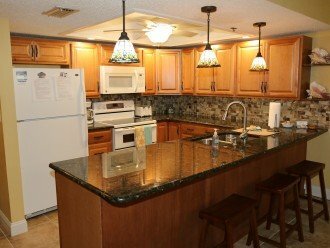 You'll find lots to do including plenty of dining and shopping. 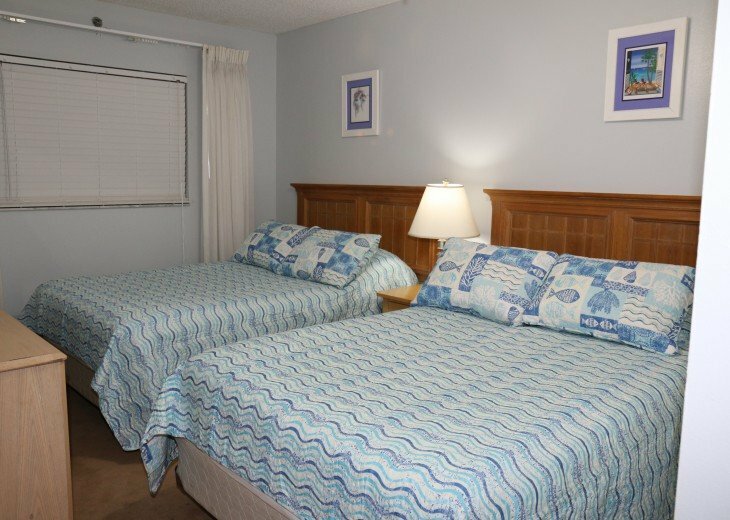 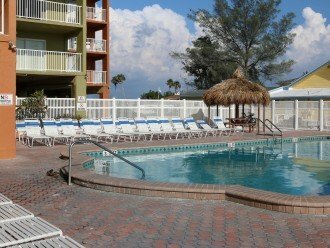 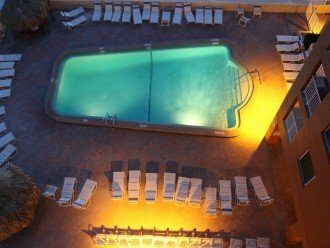 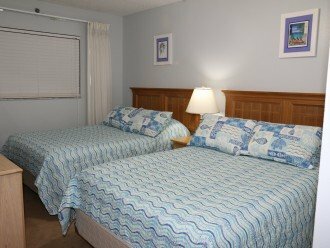 All the major Florida attractions, Disney World, Sea World, Universal Studios and Busch Gardens are just a short drive and when you return you can enjoy the heated pool or sandy beach just steps away. 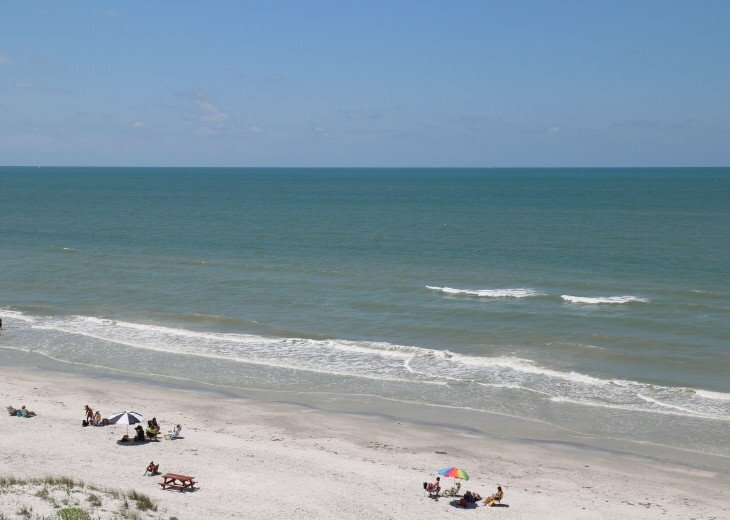 Our beach is 15 miles of warm sand and warm water. 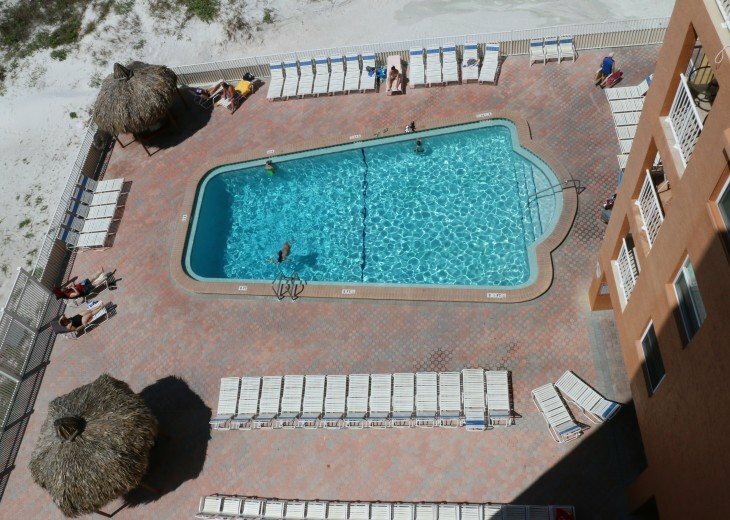 Close by are boat rentals, bike trails, fishing, para sailing,sight seeing boats, dinner cruises, even a casino boat. 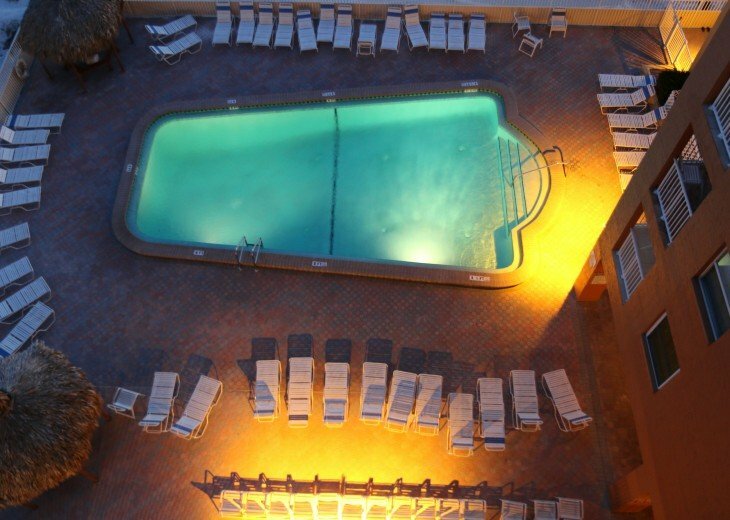 You won't run out of things to do, lots of places to dine and to shop. 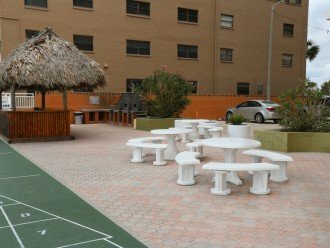 We even have trolley stop in front of our building if you decide not to rent a car you'll still be able to enjoy the area. 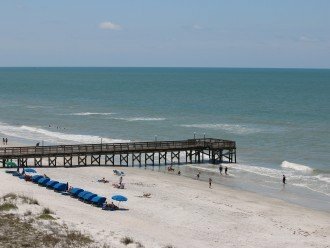 Don't forget your fishing pole, we have a fishing pier also. 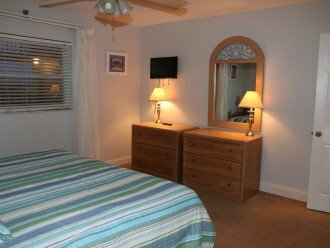 Not up to driving far but would like a unique shopping and dining experience? 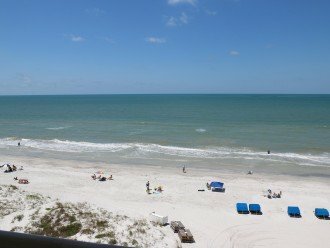 Visit John's Pass just a short 5 mile drive south on Gulf Blvd. 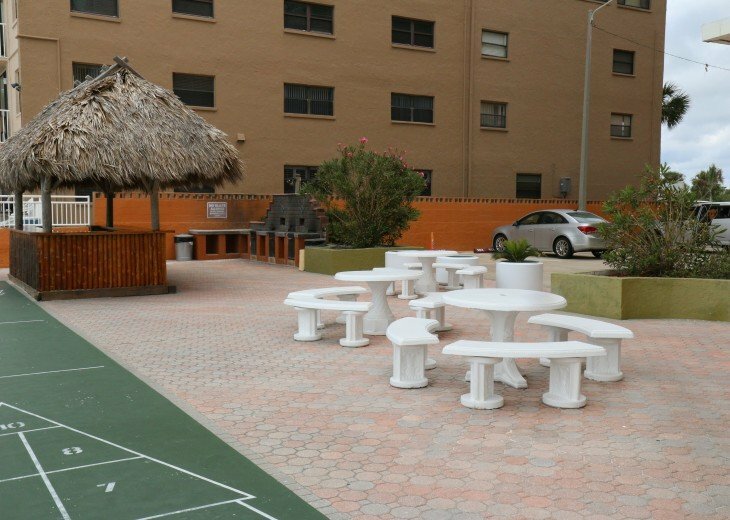 You'll find lots of fun shops and fun places for lunch and dinner. 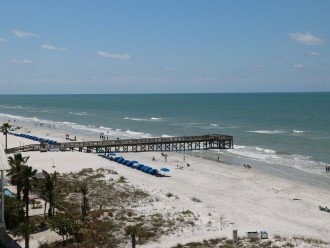 Enjoy the boardwalk while looking for dolphins. 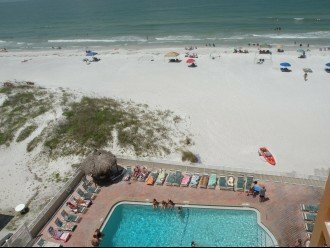 On Gulf Blvd you'll find many restaurants of all kinds of food and prices for everyone. 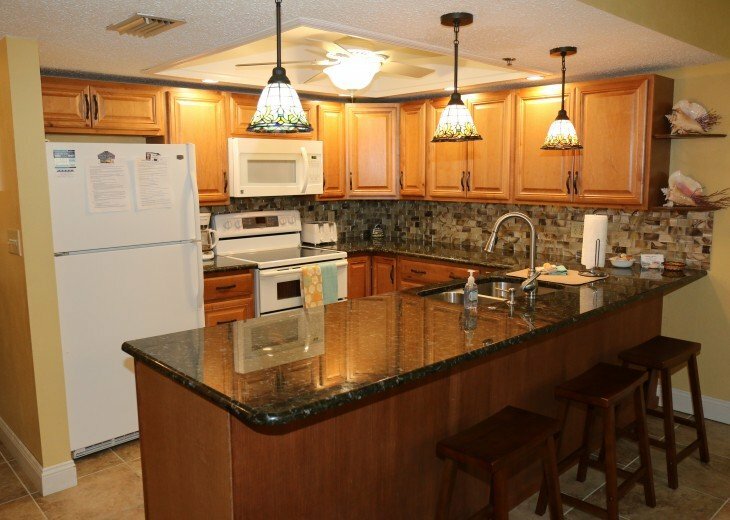 You'll find pizza to fine dining just a short distance from our condo. 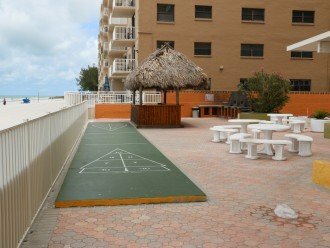 You can leave you car and hop on the local trolley. 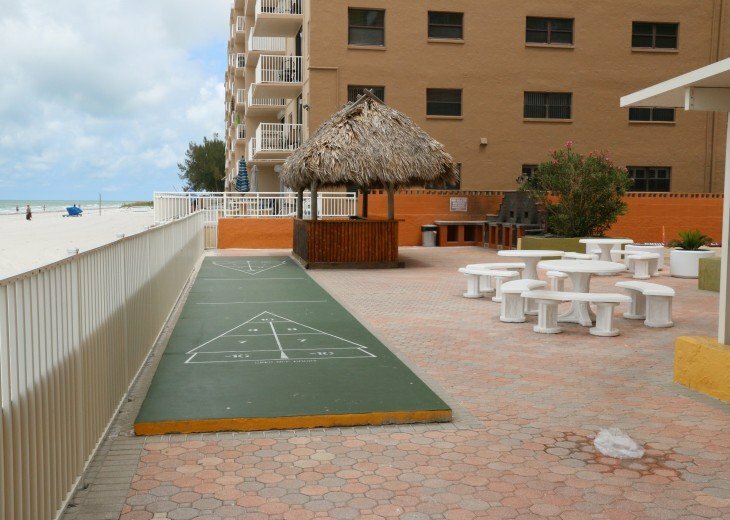 The trolley stop is right in front of our condo and for about 5.00 you can ride all day and visit the beaches from Clearwater to the north all the way down to St Pete beach to the south. 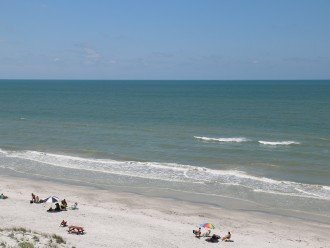 Twenty three miles of beach, shops, restaurants and more.